1. Open Programs and Features under Control Panel. 2. 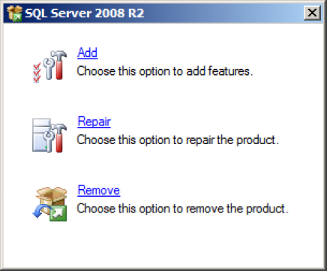 Select the appropriate version of Microsoft SQL Server from the list of programs and select Uninstall/Change. 3. Select Remove when prompted for an action. 4. Click on OK in the Setup Support Rules step to continue. 5. Click on OK in the Select Instance step to continue. 6. Click on Select All and press Next. 7. Click on OK in the Removal Rules step to continue. 8. Click on Remove to begin the un-installation process. 9. Click on Close to continue. 10. The un-installation process will remove several components from your computer. The Microsoft SQL Server 20xx R2 Native Client will remove on your computer, it does not need to be un-installed. 11. Delete the data files left by Microsoft SQL Server 20xx. For example, for SQL Server 2008 Express delete the following directory “C:\Program Files (x86)\Microsoft SQL Server\MSSQL10_50.SQLEXPRESS\MSSQL\Data”. The “MSSQLXX_XX” changes depending on the version of SQL Server installed. Congratulations you have successfully un-installed Microsoft SQL Server. How do I add an Oracle ODBC data source for a TEAMS-RDS database? Before proceeding you will need to know the following information to configure the ODBC data source, contact your IT administrator for assistance. Before continuing, make sure you have installed the Oracle InstantClient ODBC driver on your computer. You will need to download both the basic instant client files and the additional ODBC files. Extract both of the archives in to the same directory (ex. C:\drivers\Oracle\instantclient_12_1). You may be prompted to merge the folders, click on Yes to continue. Add the instantclient directory to your PATH environment variable. Go to Control Panel > System > Advanced system settings. Click on Environment Variables on the bottom of the Advanced tab. Select Path from the list of System variables and click on Edit. Add a semicolon at the end and enter the directory the full path of the instant client files (ex. %SystemRoot%\system32;%SystemRoot%;%SystemRoot%\System32\Wbem;%SYSTEMROOT%\System32\WindowsPowerShell\v1.0\;C:\drivers\Oracle\instantclient_12_1). Click on Ok to save the changes. Add another system variable by clicking on New called TNS_ADMIN and set its value to point to the directory containing the instant client files. (ex. C:\drivers\Oracle\instantclient_12_1). This system variable tells the Oracle instant client driver where the tnsnames.ora file is located. We will discuss on how to configure the file later. Click on OK to create it and click OK on the remaining dialogs to finish. Open a command prompt window as an Administrator. To run a program as an Administrator, right-click on the program’s icon and select “Run as administrator”. Change the directory to the instant client directory (ex “cd C:\drivers\oracle\instantclient_12_1”). 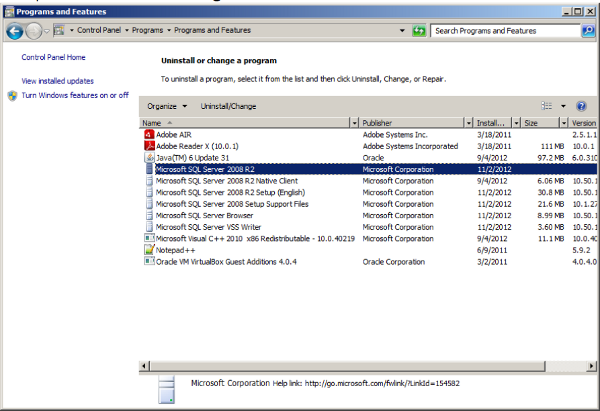 Run odbc_install.exe to install the ODBC driver package. The installation program will run and display a success message once completed. Your TEAMS-RDS administrator will provide you with the hostname, port and sid of the database server hosting the TEAMS-RDS database. Replace the parameters above with those provided by your administrator. Below is an example of the tnsnames.ora with connection parameters set to a database server. The addressname is user defined and you may set it as “RDS”. Save the file as “tnsnames.ora” in the directory with the instant client files (ex. C:\drivers\oracle\instantclient_12_1). The TNS_ADMIN system environment variable previously configured tells the driver where to find the “tnsnames.ora” file. When saving the file make sure its extension is “.ora”, set the “Save as type” in notepad as “All File (*.*)”. Now let’s test the Oracle installation, for 32-bit Windows open Control Panel -> Administrative Tools -> Data Sources (ODBC). For 64-bit Windows, open <Windows Dir>\SysWOW64\odbcad32.exe. This launches the ODBC Data Source Administrator, it manages the data sources on your machine. Go to System DSN and click on Add. Select “Oracle in instantclient_XX_X” from the list and click on Finish. If it works skip the following steps concerning the Microsoft Visual C++ 2010 Redistributable Package. If you get an error 126, most likely you do not have Microsoft Visual C++ 2010 Redistributable Package installed on your computer. Close the ODBC Data Source Administrator utility. Use your favorite search engine to locate the Microsoft web page to download the redistributable package. Once downloaded, run the installer and follow the prompts. 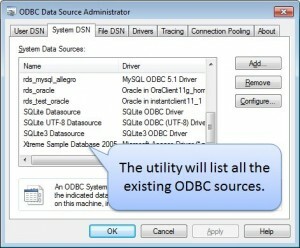 Upon completion of the installation, open the ODBC Data Source Administrator utility. Enter a data source name, this is user defined and should be describe the data source. 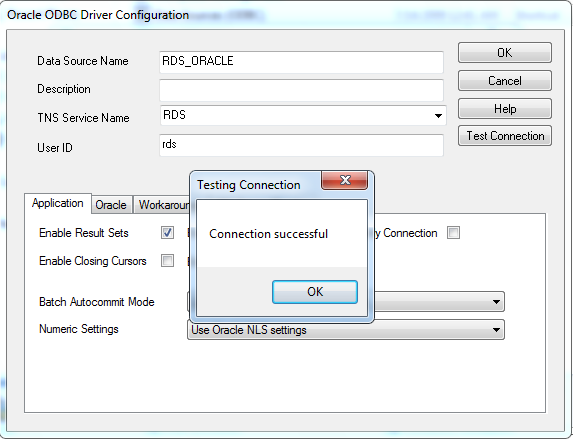 For example you may enter “RDS_ORACLE” to remind you that the data source connects to a TEAMS-RDS database on a Oracle database server. Select the drop-down menu and pick the service name previously created. Enter the database user id provided by your administrator. Click on Test Connection, enter the password provided by your administrator and click on OK to test the connection parameters. Once you have successfully tested the ODBC driver configuration, click on OK to save it. You will now be able to configure TEAMS-Designer to import and export models to an Oracle database. How do I add a MSSQL ODBC data source to a TEAMS-RDS database? First locate the ODBC Administrator utility. For 32-bit systems its located in: Control Panel -> Administrative Tools -> Data Sources (ODBC). For 64-bit systems, if you are running the 64-bit version of TEAMS-Designer the utility is located in: Control Panel -> Administrative Tools -> Data Sources (ODBC). If you are running the 32-bit version of TEAMS-Designer the utility is located in: <Windows Dir>\SysWOW64\odbcad32.exe. Open the utility and select the System DSN tab on the top. A dialog will appear prompting you to enter the name, description and server name. Enter the name of the data source, this is an arbitrary field. This field is required by TEAMS-Designer to connect to TEAMS-RDS. Click on the drop-down list box for the server, a list of database servers should appear. Select the database server which hosts the TEAMS-RDS database. If the list is empty, enter the TCP/IP name of the server in the field. If you are connecting to a SQL Express version of MSSQL, you will need to append “\SQLEXPRESS” to the server name field. The dialog will prompt you for a login information. Select “With SQL Server authentication using a login ID and password entered by the user.” as the authentication method. Ensure the box for “Connect to SQL Server to obtain default settings for the additional configuration options.” is selected. Enter the database login id and password. 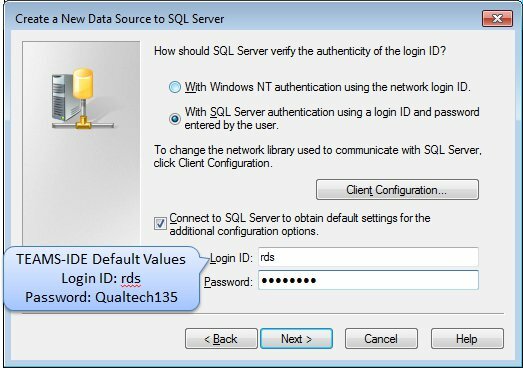 Note for TEAMS-IDE, the default login id and password are: rds \ Qualtech135 . Click on Finish, a dialog will appear with a summary of the configuration settings. To test the data source, click on Test Data Source. A window will appear displaying the results of the tests. If the test is not successfully, click on OK to dismiss the window and click on Cancel to review the configuration settings of the data source. 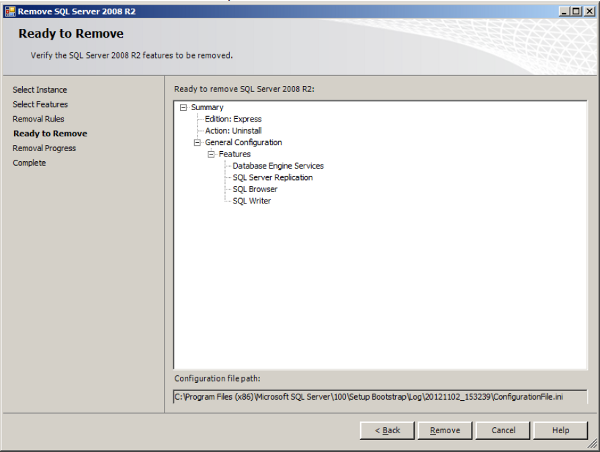 By default TEAMS-IDE installs SQL Server 2008 Express on the machine. The name of the data source is arbitrary but you should create a naming convention that is ready to remember if you plan on creating multiple ODBC data sources. You can add several ODBC data sources, this will allow you to export to several TEAMS-RDS databases from TEAMS-Designer. How do I add a MySQL ODBC data source to a TEAMS-RDS database? 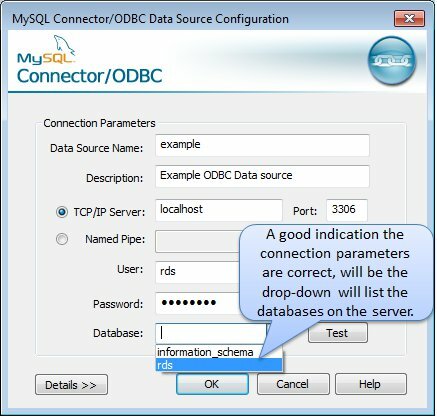 Before continuing, make sure you have the MySQL ODBC driver installed in your computer. If not, click here and install the appropriate driver for your operating system. For example, if are running 64-bit version of TEAMS-Designer download and install mysql-connector-odbc-5.x.x-winx64.msi. If you are running 32-bit version of TEAMS-Designer download and install mysql-connector-odbc-5.x.x-win32.msi. Select the “MySQL ODBC X.x Driver” from the list and click on Finish. Enter the name of the data source, the IP address of the database server, the user name and the password. If the information above is correct, the database drop-down list will display the database(s) on the server when selected. Select the TEAMS-RDS database from the list, by default it’s usually “rds”. Click on Test to verify the connection is configured correctly. If you encounter an issue, verify the parameters are correct. Click on OK to finish. 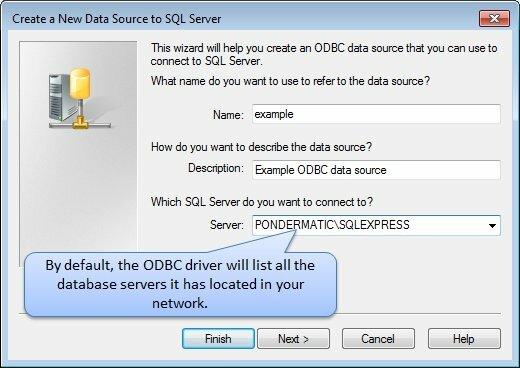 Where can I find the ODBC Data Source Administrator utility? The ODBC Data Source Adminitrator utility let’s you edit the ODBC connections. ODBC connections are used to access TEAMS-RDS databases from TEAMS-Designer. To locate the utility, follow the steps below. 32-bit TEAMS-Designer: Locate and execute “C:\Windows\SysWOW64\odbcad32.exe”. 64-bit TEAMS-Designer: Go to “Start -> Control Panel -> Administrative Tools -> Data Sources (ODBC)”. If you have a 32-bit operating system go to “Start -> Control Panel -> Administrative Tools -> Data Sources (ODBC)”.